... those two words inspire the most fear when you play through XCom's turn based tactical combat. It is also possibly the greatest achievement that Firaxis have managed to achieve while updating this classic title for a new generation. The developers have brilliantly translated the sheer tension of good turn based game-play for a generation that have probably yet to experience such a thing. It can be very hard to create tension with turn based mechanics, excitement can be even harder to generate. Let alone amongst a demographic of players that haven't previously played games like these. 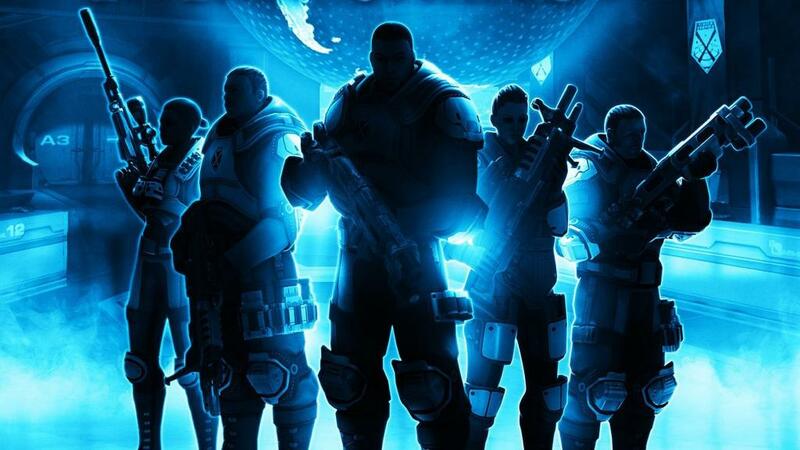 This new incarnation of the XCom franchise manages both with subtle aplomb. Your are being tested. Will your squad survive? Have you made the right decisions? All these questions are buzzing through your mind as the aliens start their turn. It's truly nerve racking because the game brilliantly balances the squads health, value, and usefulness Casualties are rarely easy to absorb. Both in the immediate sense of the tactical encounter, and in the wider strategic game about repelling the alien invasion as a whole. Losing a trained soldier hurts far, far, more than a rookie, but you also need rookies to live so they can later become the next set of veterans. So every time the aliens get their turn to take potshots at you, it truly is a tense affair. You'll be hoping, maybe even praying a little, that the choices you made in the previous phase were the right ones. That's the heart of XCom's success. Just as with the audio, the new modern bells and whistles are used to great effect. The camera cuts away and zooms in to great effect, adding an action movie veneer to an otherwise tactical experience. (although there is also some humor to be had from the occasional clipping issue where the cinematic camera view will show your sniper shooting the alien menace right through a team-mates skull, now that's precision!) This is a great example of how to take more complex older game concepts and remake them for a modern audience. The game looks the part, and rather than stubbornly sticking to it's roots it has managed to retain the essence of what made the originals great games, and translate that into a modern experience. The game also accepts that it will be played by both newcomers and veterans alike. The games easier modes are suitably forgiving while also providing an engaging challenge for those who fondly remember the challenge of playing through the original. New players will be able to enjoy the experience without it being a complete walk in the park, while in the classic and ironman modes this game will punish your mistakes. It is an unforgiving and brutal teacher, and the lessons that it dispenses will be paid for in the lives of your carefully trained squad members. Just as in the original, the ability to customize your team can lead to some real bonds being developed between you and your virtual saviors of mankind. You will feel the pain of loss when you realize that some deaths amongst your team are virtually inevitable. Even on the more casual settings you shouldn't expect to end the game with the same six soldiers you start out with. It serves to increase that tension mentioned above. You feel like the fate of these characters is in your hands. I'm not going to spoil things, but the game also brilliantly inserts your team into an ending that could otherwise have seemed a little hollow. I felt the end of the game was fitting and also played into that 'end of season epic' feeling that good genre TV shows enjoy. The systems compliment that notion as well. The game is yours to play as you see fit. The class style system of Heavy, Assault, Sniper, and Support means that there are a wide variety of tactics, all with their own pros and cons, and all of which you can tailor to your own particular play style. There is no 'right' or 'wrong' way to play through the game, and comparing notes with friends will often reveal a startlingly diverse set of approaches to the challenges presented. In many ways it let's you, the user, dictate the type of experience you will have with it. XCom has that 'one more turn' compulsion in common with Firaxis' other major franchise, Civilization. It can make hours upon hours of your evening vanish into a blur of missions, visits to engineers, scientists, and testing your soldiers for latent psychic abilities. It's not without some irritating rough edges that are worth mentioning, well, one in particular. You simply have to save this game as often as you can. Why? On the PC version at least, the game has an infuriating habit of totally freezing up when switching between squad mates. It doesn't happen enough to deter me from recommending the game, but it does happen enough that I have habitually warned everyone playing in the PC version to save often. It happens at just the most frustrating of frequencies, just when you forgot about it (and thus might not have saved in a while) it will strike, and you will have lost a chunk of time that might have contained small or significant victories. There was absolutely nothing worse than it hitting just after my entire squad has survived a particularly tough encounter, given how valuable their individual lives are. That's a minor quibble however, and XCom is an essential purchase for me, and a potential game of the year candidate. It's a game that is as much about the story you create within it rather than the mere sum of it's parts (which in and of themselves are far from shabby). It hooks you, and to me, you really can't ask for more in a game than that.